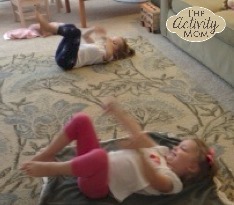 I wanted to try to do something active with the kids but not have to leave the house! 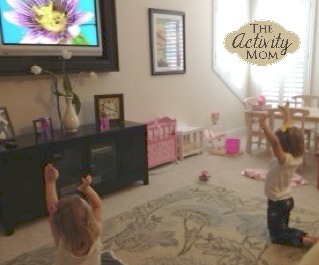 I found this ABC yoga DVD and it’s been a huge hit! The kids have asked to do yoga 3 days in a row and it’s been really fun to see them improve. Each letter has a pose, and either an animal or a short story that goes with it. They have kids in the video doing the poses along with an adult teacher. 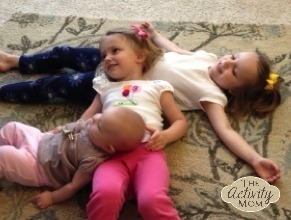 It ends with Z= zig zag breathing…make a zig zag by lying on each other’s tummy and concentrating on breathing. I like that it ends by calming them down! Where can I purchase the ABC yoga dvd? You can find the video on Amazon.